Cockatiel - All Star Parrots Rescue and Rehoming. 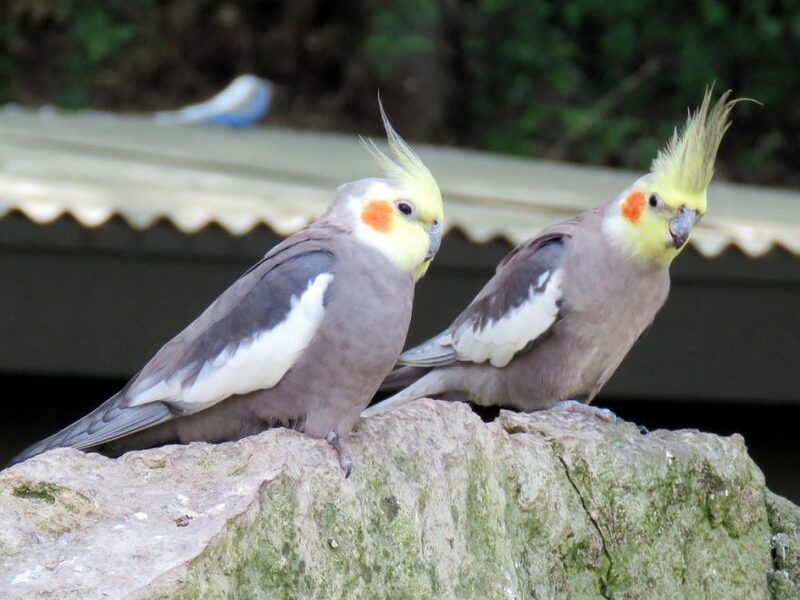 Cockatiels are among the most popular pet birds. Small parrots with a variety of colour patterns and a crest, they are attractive as well as friendly. They are capable of mimicking speech, although they can be difficult to understand. 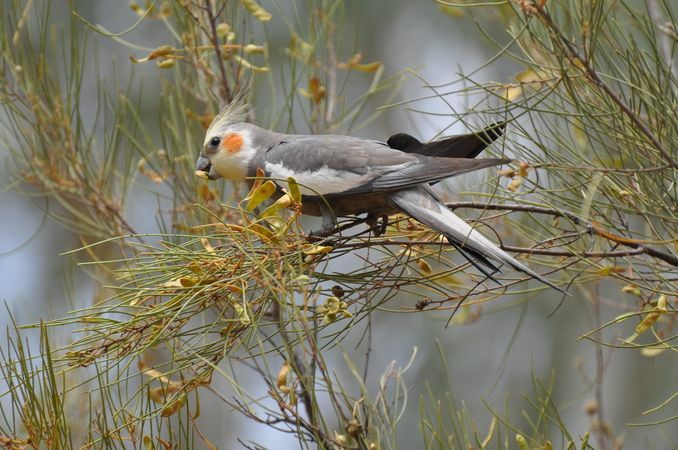 However, cockatiel are quite good at whistling and can often be taught to whistle tunes. 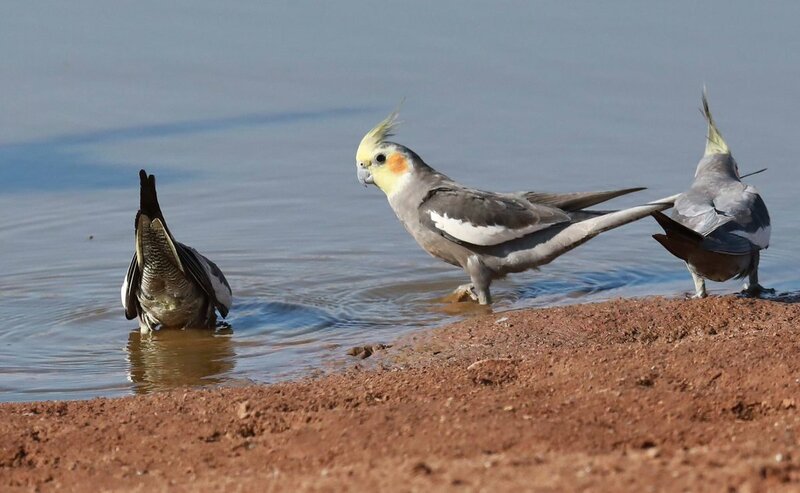 Cockatiels are active and playful and should have a large cage. With lots of different texture perches, ropes and toys with enough space to comfortably move between them. Variety is the key to a healthy diet. Seeds can be a nutritious part of the diet but are high in fat so should only make up a part of the diet. Pelleted diets are often a good choice for birds as they are nutritionally balanced and birds can’t pick out their favourite seeds and leave the rest. However, with both seeds and pellets a wide variety of other foods should complement the diet. A variety of fresh vegetables and fruit should be offered, although persistence might be needed before your bird will try new foods (particularly if they are accustomed to an all-seed diet). Colours: The wild type has a grey body with a yellow face and crest and orange cheek patch. The colours on the face are brighter and more vivid in the male. The female has bars on the underside of the tail feathers. Colour variations include albino, Latino, pied, pearl, cinnamon, and silver. The differences between males and females vary in the different colour variations and can sometimes be hard to distinguish, especially in young birds.